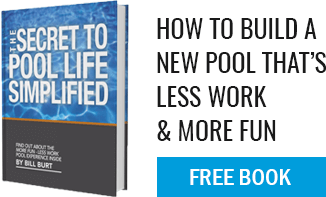 What are the depth requirements for a diving pool? Codes require a minimum depth of 7 ½ feet of water. Aqua Pool feels that 8 feet of water depth is better so we always use that as our minimum. There are also width and slope requirements so speak with a qualified pool designer.